So in case you haven't noticed on my Snapchat, Facebook, or Instagram lately, I've been reading books. A LOT of books. I mean, like 8 books a week A LOT. And I don't spend a dime on them because I get them from the local library. Some are old books some are brand new books that just released in the last 2 weeks. 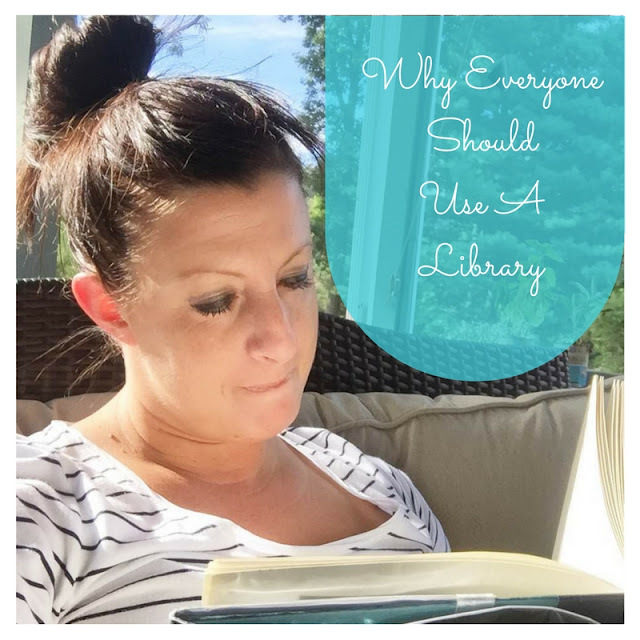 Today's post is to explain why everyone should utilize their local library system to get books. Hello? Who doesn't like free stuff? I mean you could of course go to the book store every week and grab a bunch of books but they would easily add up to over $100. And if you think about it, that's a lot of money. That's also a lot of space. Books take up a lot of space. Especially when they sit and don't get read again. If it's a book you know you'll read again and again or if it's a reference book, that's difference. The majority of books however just sit and let me tell you that's not only a waste of a good book but they are an enormous hassle to transport when you move. A library card is free. The only time you'll ever have to pay is if you don't return your book in time. Most libraries give 2 weeks. So just make sure you pay attention to due dates. It's Not Just Old Books. For some reason, I haven't been using libraries since I was a kid because in my mind, I didn't picture them having all the latest greatest new releases. Uhhh, DUH! They definitely have everything without a delay. If it's released in book stores, it's released at the library! You Can Put Books on Hold. Most libraries have an electronic system where you can log into your account, search for books and put them on hold until you go pick them up. If your specific library doesn't have the book it can actually get it from another library and you can still go to your usual one to pick it up. Oh and you can also renew books online. You Can Also Get Movies and Music. It doesn't just stop at books. You can actually rent movies and music CDs from most libraries and that's a glorious thing! So what are you waiting for? Look up your nearest library and go check it out! Wow 8 books a week. I haven't even read one this month. Eight books a week is great! Most libraries also offer magazines, newspapers, audio books and downloadable books. Yea I'm a reading machine lol!